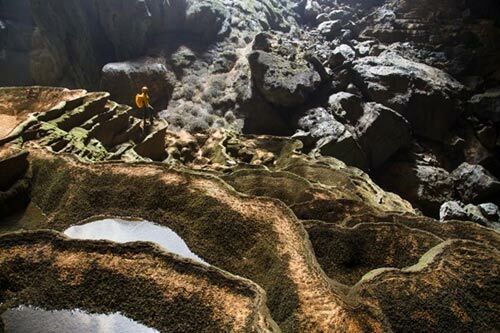 In the most remote area of Vietnam where scientists said in the famous magazine National Geographic is “without anywhere on this planet.” It belongs to Son Doong cave, the world’s largest cave in Quang Binh. 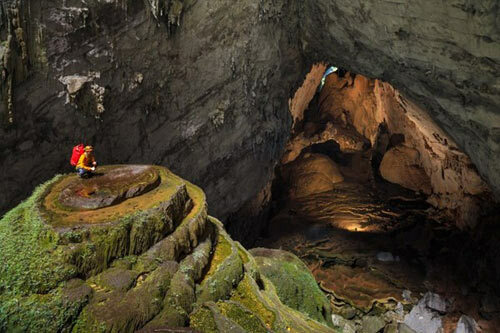 Adventure tour this cave for tourists worldwide in 2015, was licensed by PPC and its fare is $ 3,000 per guest. 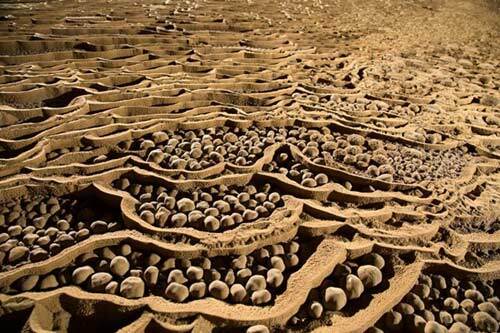 The attraction of this tour attracted a lot of tourists at a global level. Whatever reservations in advance, but in 2015 only 500 guests have the chance. To participate in the awesome tour. You not only have to ensure financial but also your health to have flexibility to cope with the difficult experience. 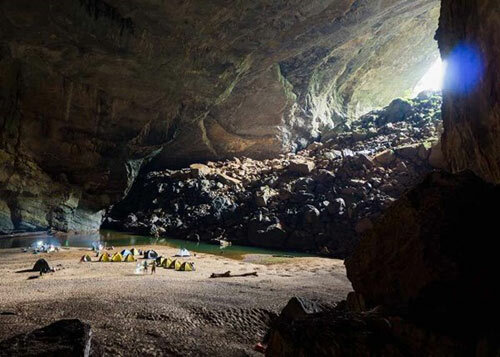 The first day, tour guide will pick you up from Dong Hoi to Phong Nha and hear common safety rules, environmental protection, the use of equipment during tour. The second day, the tourist answering questions about the fitness. If you meet the strict inspection, you are granting safety equipment for use and the car taken you to the starting point on the Ho Chi Minh Trail west route, then the journey to walk from there to Doong of 4 km. End of the ramp in the forest, visitors to village and lunch break. Then continue to wade the stream, through the jungle to Hang En with route 5km. 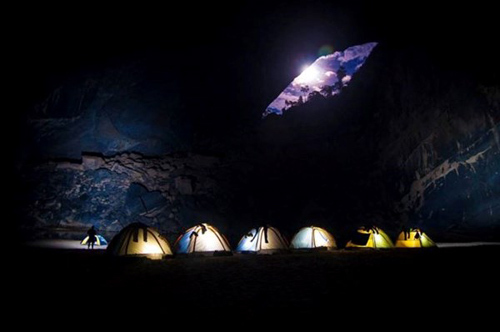 In the evening, everyone is guided camping at sands in the Hang En cave by experts. Overnight, after breakfast will proceed to explore Hang En with walkways have been examined before, choose the points can watch and photograph. 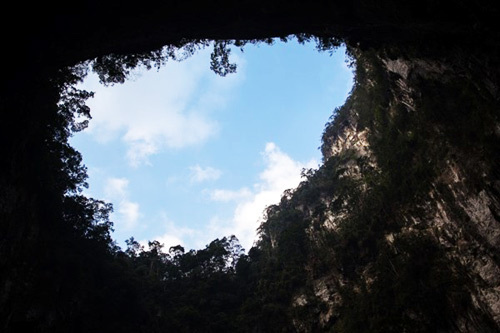 Continue to walk 2km, you’ll come to Son Doong Cave, received the climbing equipment, helmets, safety belts and other equipment to go down to the cave, from the mouth to the bottom of the cave depth is 80m, slippery steep, you must use safety wire and lock. 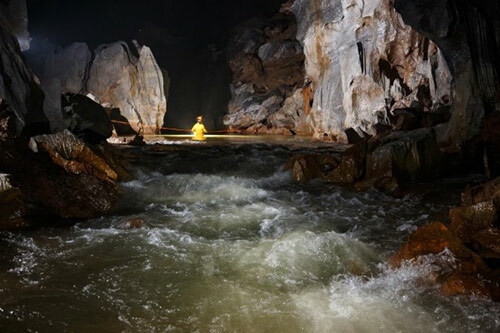 Guests must pass the stream and waterfall in the cave to the main area of the cave, watching the light from sinkholes 1 (Doline1). Dinner and overnight stay in the small tent was erected here. 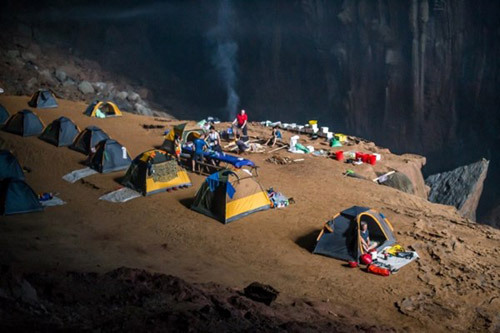 The day after that, leave the campsite, the first through sinkholes (doline 1) watching “vong khung long” experience the special weather systems are constantly changing every 10-15 minutes in the Son Doong cave at Doline 1. Scroll through the “Garden of Eden”. In the afternoon, go sail (on the water) or walk to the foot of the wall Vietnam, overnight at the 2nd campsites near the “Garden of Eden”. 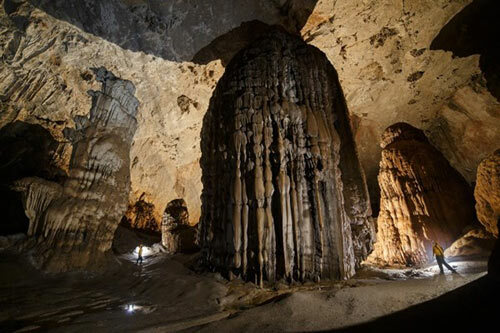 Continuing a great day in caves, you will be observing the Garden in the early morning, moving back doline 1 to see coral fossils nearly 300 million years of age. Come back Hang En. Dinner and overnight. Last day, walking from Hang En, crossing many streams and steep to hit the road in Ho Chi Minh City and come back Phong Nha.